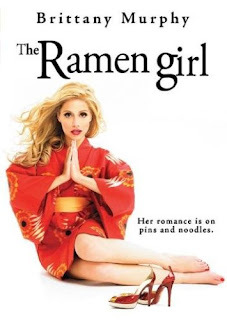 Please join us in watching The Ramen Girl this month! Buy it, rent it, borrow it...we don't care how you get it, just watch it...devour it...be inspired by it! Then head into the kitchen and cook up something tasty. *Please email me the link to your F'nF post (girlichef at yahoo dot com)...or you can leave it in the comment section by the end of NOVEMBER...and then watch for what I'm sure will be a delicious roundup early next month! I can't wait to see what The Ramen Girl inspires you to make! Looking forward to it! Should be a fun flick. I see noodles in my future.. Wonderful choice, Heather. I bet this a film a lot of people haven't heard of, like me. Thanks for introducing us to it.